Thirst for fun and adventure used to mean hopping on a plane, and flying to a place far, far away. Thankfully, more and more fun-oriented establishments are opening within the busy streets of Metro Manila. 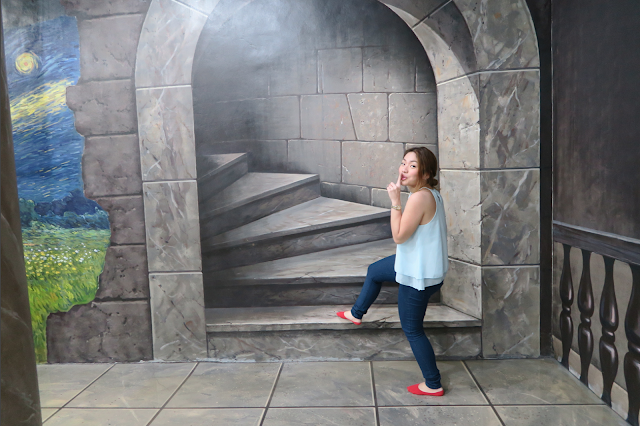 Last Friday, my sister and I decided to visit Art in Island, a trick eye museum located in Cubao, Quezon City. Upon entering the museum, we were asked to take off our shoes. You can opt to roam the place barefoot, but wear socks if you want to keep your feet squeaky clean! 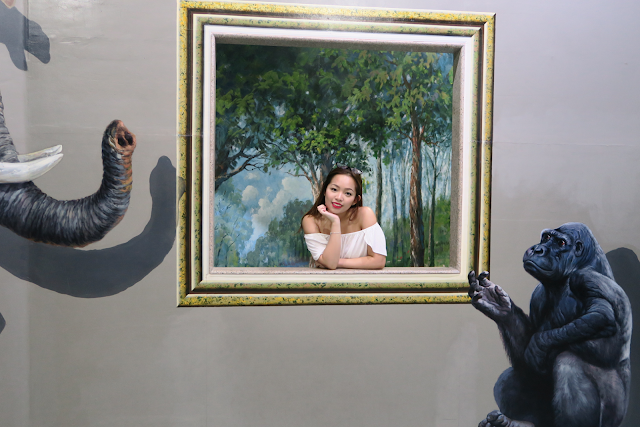 Whenever you visit an art museum, you are always expected to just look around quietly, observe, and appreciate the creative materials presented. You are prohibited to touch anything nor take pictures. 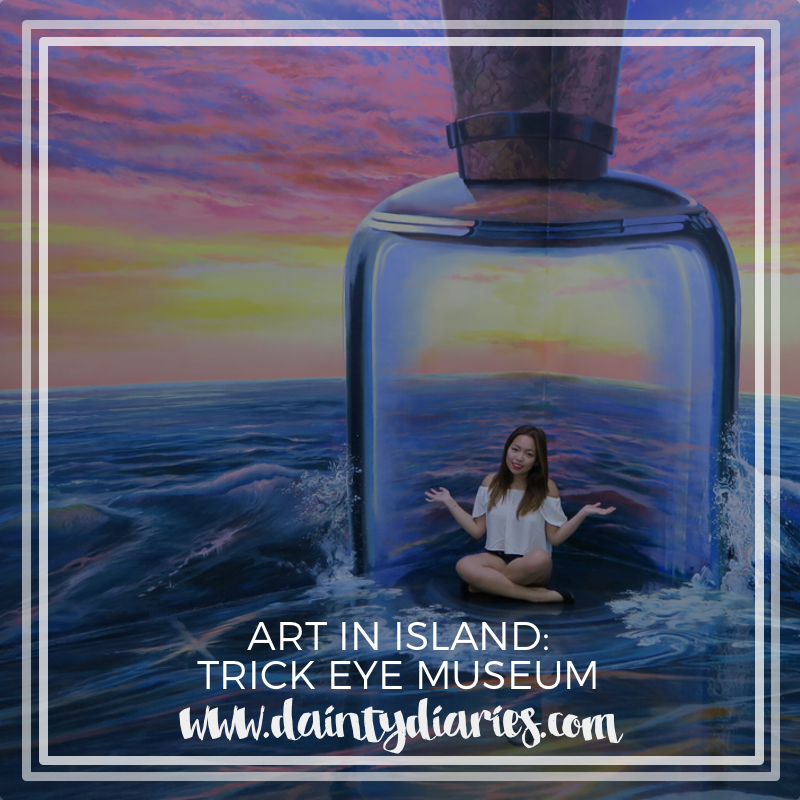 And this is what makes Art in Island a far cry from other museums. 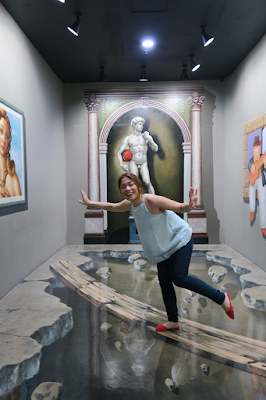 It was made for guests to actually interact with the artworks! Aqua Zone - Where else can you be a mermaid without having to ruin your hair? I suggest you bring a friend with you, so that you could take turns snapping photos of each other. Speaking of snapping photos, you don't have to worry about deciphering which angle would work best -- there are actually markings on the floor telling you where the photographer should stand! Animal Zone - experience safari life! Don't forget to bring a camera/phone with you that has ample memory available. Trust when I say this: you will take lots of photos inside! 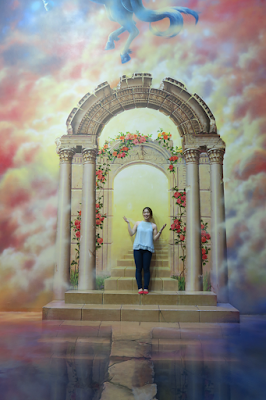 Masterpiece Zone - interact with some of the world's most famous paintings! One can pose his/her heart out and interact with the paintings without getting strange looks, simply because everyone's doing it! My sister and I honestly enjoyed our experience at Art in Island. 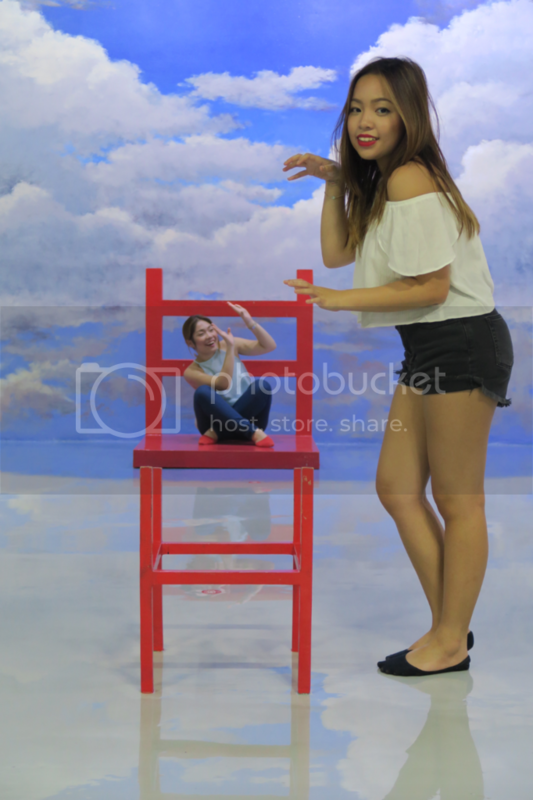 Posing creatively is a fun way to fuel your imagination and be whoever/whatever you wanna be. 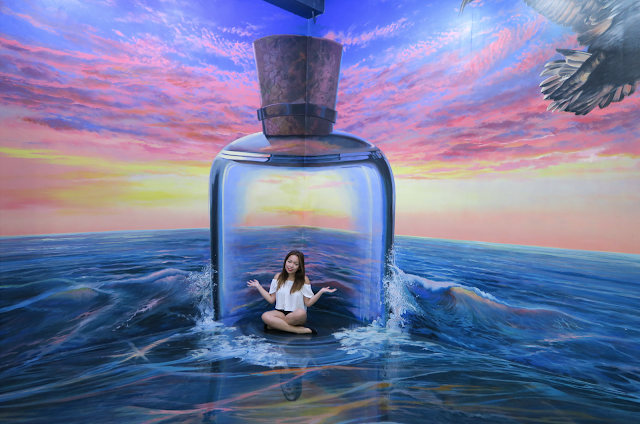 Art in Island has more than 50 artworks you can interact with. The area is really big at 3,800 sqm. 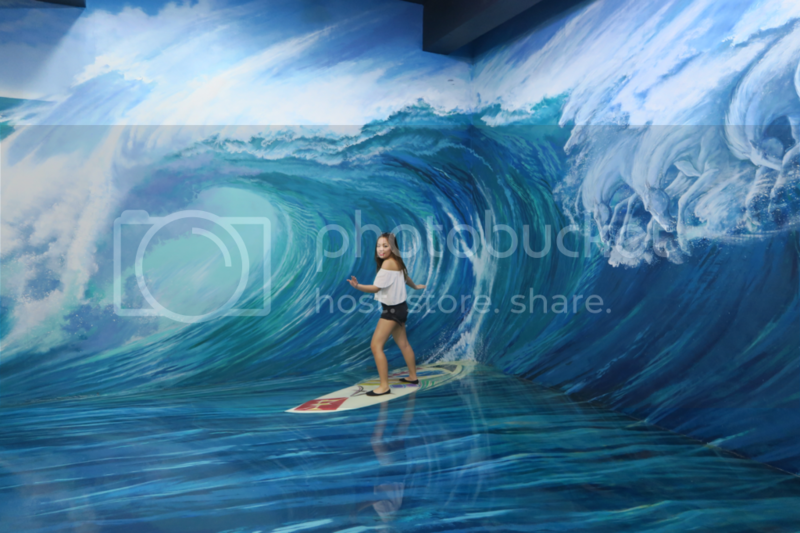 In fact, it took us 2 hours to roam the whole museum! 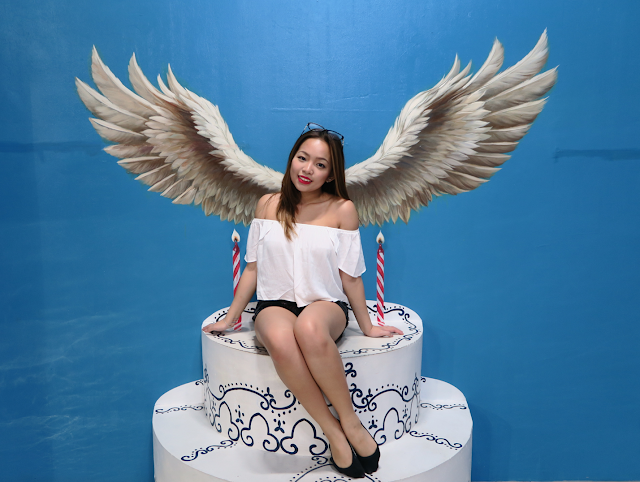 Fountain of Trevi, Cubao - Lol! Finally bigger than my sister!